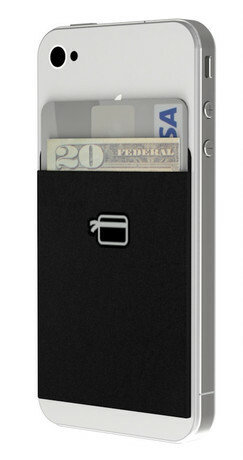 CardNinja, the new alternative to a bulky wallet, is quickly becoming one of the hottest smartphone accessories on the market! With its ultra-thin case, the product firmly attaches to the back of most smartphones, including iPhones, Androids and Blackberries, or smartphone cases, ultimately helping men and women simplify their lives by streamlining what they carry. Consumers can now avoid the bottomless dig for cash and cards in their bags, making CardNinja perfect for use at the gym, running errands, and everyday life! I received a sample of CardNinja to review. I gave it to my son's girlfriend, Cassidy to test out because she has a smart phone, and sadly, I do not. Cassidy immediately put it to the test, and she loves it! She did indeed, toss her wallet and is very pleased with the CardNinja. Cassidy was never a purse or wallet toting kind of girl anyway. She loves the convenience of having her student ID card, debit card, insurance cards and cash in the same place as her phone which she carries with her at all times. She says it is awesome to just stick it in her pocket and not have to worry about the bulk of a wallet.